Biosphere Inn is located in Baa Atoll Dharavandhoo Island which is 20 minutes away from the International Airport by flight. Biosphere Inn is a renovated local home with a mixture of traditional and modern look; thus our guests will experience a true local stay while they enjoy our service. Biosphere Inn was opened in September 2015. 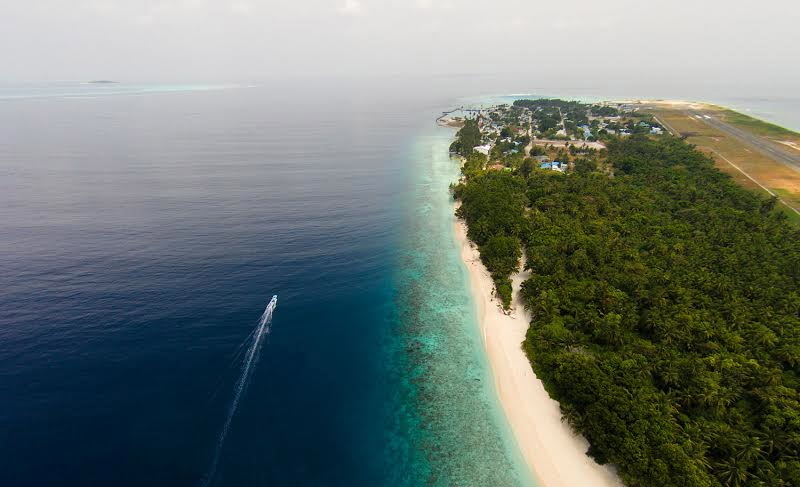 The most unique part of Biosphere Inn is that it is located in Baa Atoll, which is declared by UNESCO as a world biosphere reserve. According to UNESCO, Baa Atoll biosphere reserve is home to a globally significant biodiversity among its numerous reefs and demonstrates a long history of human interaction with the environment. Please surf through this website for more information about the biosphere reserve and its unique divising sites. Biosphere Inn in located very close to white sandy beach in Dharavandhoo and has 3 Standard rooms, one outdoor cafe’, Excursion facilities and a beautiful backyard for relaxing. Biosphere Inn is operated by one of the most experienced team in Dharavandhoo for guest house operation. Our staff are well-trained and have years of experience in hospitality industry. Thus, we guarantee to provide one of the best hospitality service in Dharavandhoo.